In 2018, I plan to be more productive to juggle multiple roles effectively. It is no longer viable for me to plan on a whim or based on inspiration. 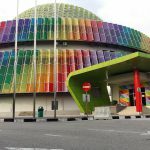 Update: October 2018- Do read the update of my experience in using these planning tools, almost a year on. MrDIY diary actually comes in 3 colours- black and two shades of brown. One type is the button on and another has the elastic band (shown above). 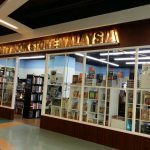 The diary costs RM7.50. 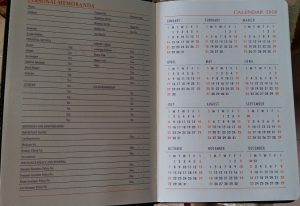 When you open the diary, it contains fields for you to fill up your particulars as well as the year’s calendar. It even contain birthstones and flowers according one’s month of birth, terminologies used in wedding anniversary, astrological signs (the dates) and Chinese animal years as well as address book. 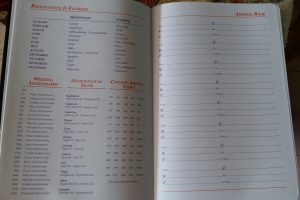 There are also world information, calorie counter and clothing sizes. 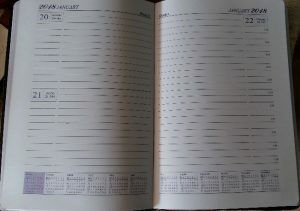 When you open the diary, it contains a daily spread- generally it is single page. But certain pages, you would have 2 days sharing a page. 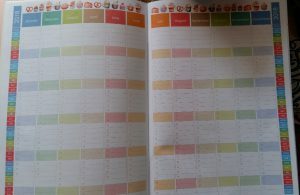 Normally it is Sat/Sun but for this diary, sometimes other days like Wed/Thu is also in a single page. 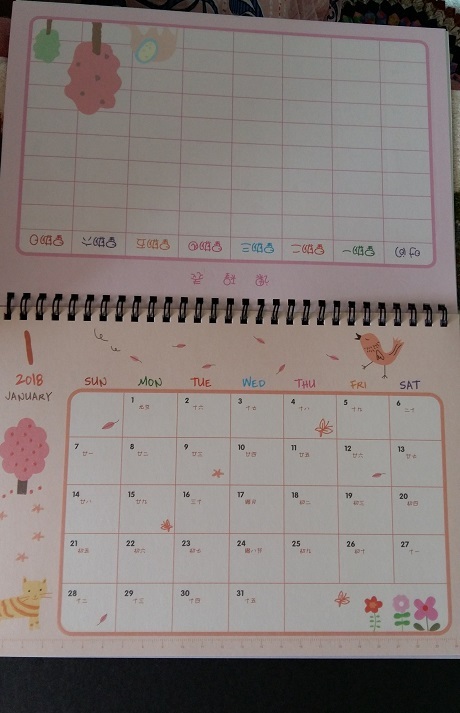 This diary does not have a monthly planner. 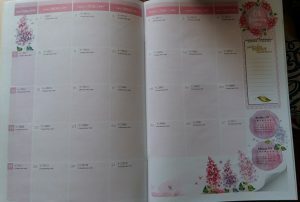 Usually for planner I would also need a bigger section to write hence I got a separate planner from another bookstore. 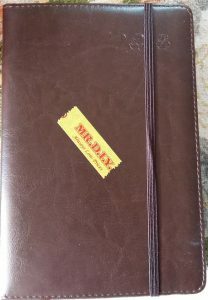 The paper of the diary from MrDIY is not made from the best paper but it is comfortable because the paper is pliable and makes flipping through the pages easier. In fact, I have previously bought a notebook (also looked similar to the diary) from MrDIY for RM8.50 and have been using it to jot down experiments and stuff I do for my blogs. 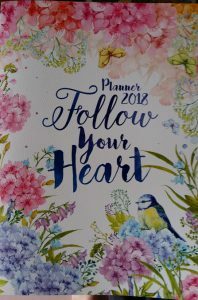 It is a locally produced planner costing me RM5.90. 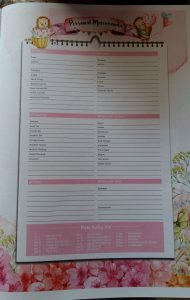 The planner you see below is in A4 size. When you open, there is a nice message. 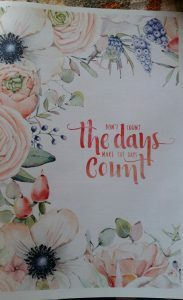 I like the soft pastel themes in the planner. Above is a year’s overview displayed in colourful page. 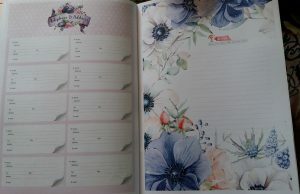 And above is the monthly planner- as each page is A4 size, there is sufficient writing space. 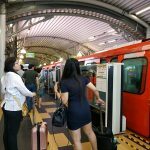 I would use it to jot down performances of my blogs, such as traffic, income, as well as my personal expenditures so that I am able to see at a glance. At the end there is a page for address book and another for notes. 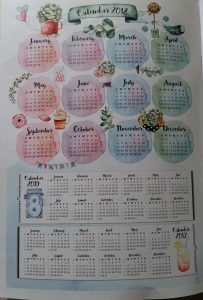 I also would have the calendar from Kaison on my working table for me to jot down important dates that I am able to view at a glance. ⇐ Simply click on the Category located below the title to view similar posts on this topic.